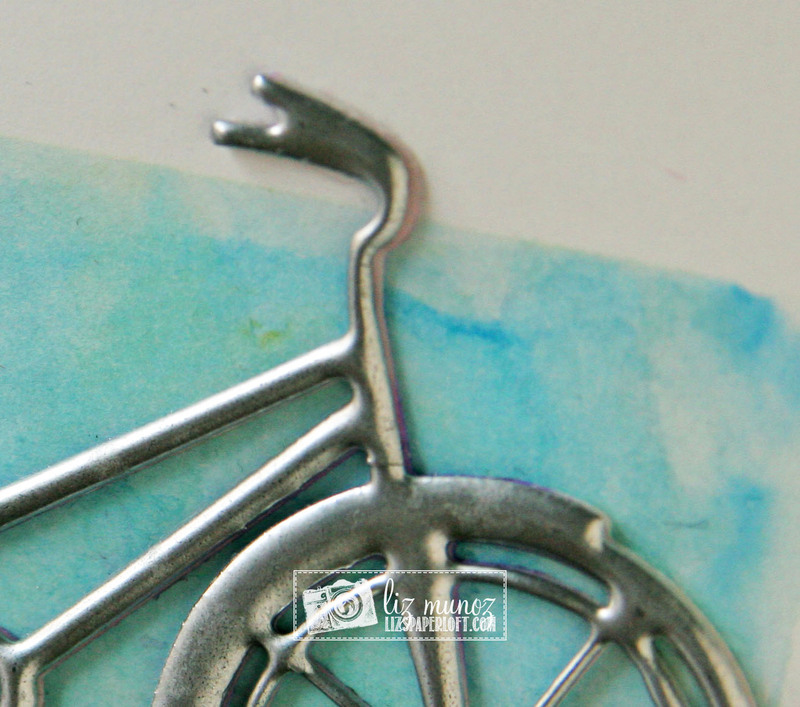 Liz's Paper Loft: MCT Whatever Wednesday ~ many thanks! First I taped off a square with painters tape and did a quick watercolor background and let dry. Next I used a die to dry emboss the butterfly on watercolor paper. Then I water colored the dry embossed butterfly, once it was dry I was able to fully die cut the butterfly. Last thing was to heat emboss the bike about 6 times with silver to give it a metal look. Also I heat embossed the butterfly with clear about 5 times. OMG Miss Liz Your card is Spectacular and the look is Magnificent. I'm in awe of what you did to achieve the look of your bike...It's totally Awesome. Again, WOW!! 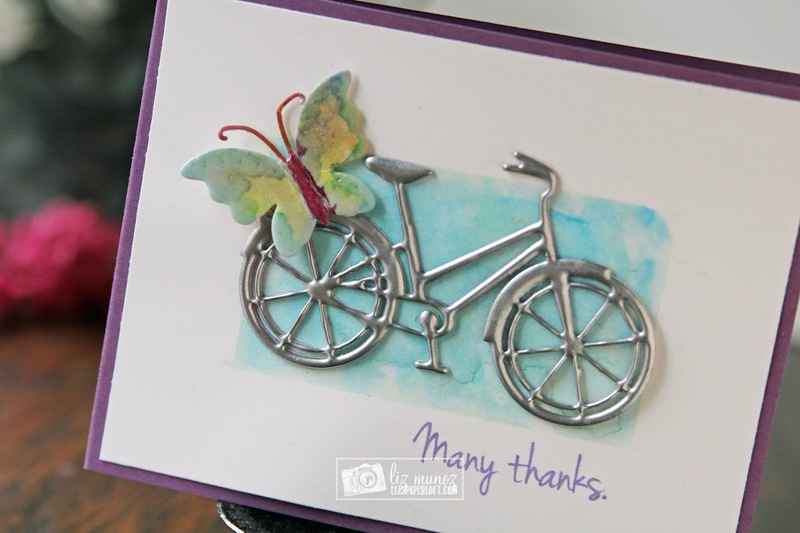 Love you sweet butterfly in your little scene and your watercoloring is so pretty and so showcases your Amazing bike. You so did one Incredible and Outstanding Creative job!! YOU so ROCK!! Beautiful!! Love how you did the bike!! 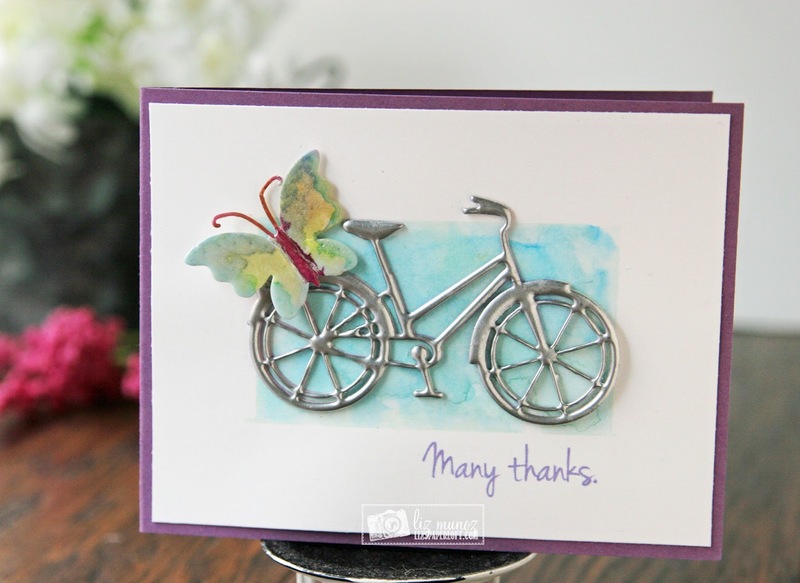 What a cool look with the thick embossing! I like the simple background and lots of white! Great job.